The giant squid has been the subject of much intrigue in the oceanography community for quite some time. Famously elusive creatures, the first footage of a giant squid was taken in 2012 by a team of scientists off the coast of Japan. What we have here is a creature of a slightly different sort, easily mistaken for a giant squid: the colossal squid, which was first spotted in 2007. 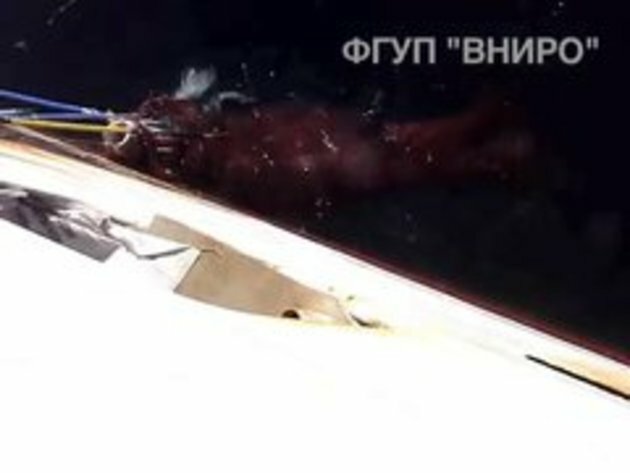 This footage was captured by the crew of a Russian ship in 2013, and is starting to generate a decent amount of buzz on the Internet. The major difference between the giant squid and colossal squid can be found on their tentacles - the giant squid has pads along its tentacles, while the colossal squid has rotating hooked claws. In addition to this difference, the colossal squid is slightly shorter than the giant squid. A colossal squid, however, typically has a larger body and often weighs more than the giant squid. Experience of a lifetime to see this kind of sea creature. Thx for the post joeman! Given the choice I'd take my chances with a shark rather than that ! Huge bites inflicted by the squid's beak.